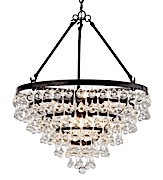 Chandeliers are lighting fixtures that have an elegant look and appeal to them. 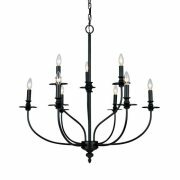 Whether you are looking for a crystal chandelier, iron chandelier, glass chandelier or modern chandelier, any home decor can easily be upgraded by installing a decorative lighting piece. 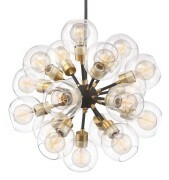 Chandeliers are the perfect way to add functional art and instantly revamp the style of your room. 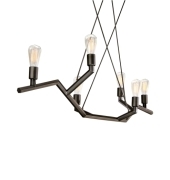 A chandelier light can go in many spaces in your home besides just the dining room! 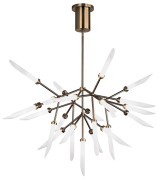 The word chandelier has always connotated something elegant, fancy and dramatic. 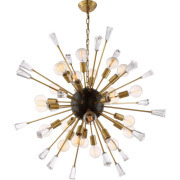 Although chandelier lights have definitely evolved over time, they still connotate a dramatic lighting fixture. 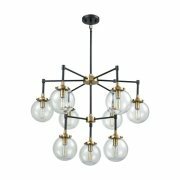 From the original multi-tiered candle holders to grand crystal fixtures in palaces, today's chandeliers now take inspiration from all of its past and modern decor. 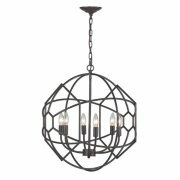 When buying a chandelier there are a few things to consider. 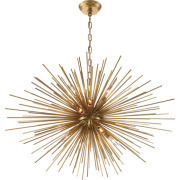 First, what is the size of your room and how tall is your ceiling? 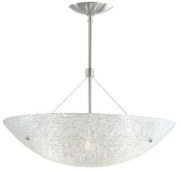 A tall ceiling would look best with a multi-tiered chandelier or one that gives you some height. 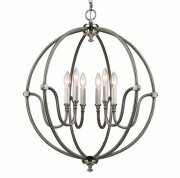 A large room would require a chandelier with a large diameter or length, while a small room would be more suited for a small chandelier or even a large pendant light. 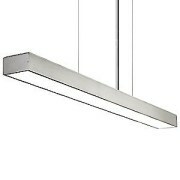 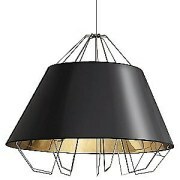 Don't forget to check our pendants page for any chandelier ideas if you do have a small space. 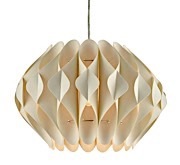 Many pendants can easily be used as chandeliers! 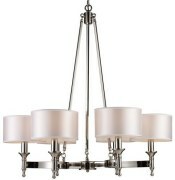 Next is the fun part, selecting the chandelier based on style and finish. 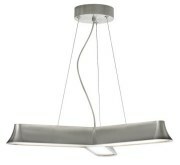 This can also be the hardest part since there are so many styles and finishes to select from. 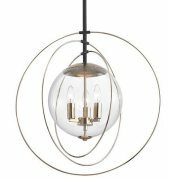 Whether you are looking for a modern chandelier, like the super cool Bodiam Suspension with inward facing LED lights, or a retro chandelier like the Gambit Chandelier, we have a wide variety of styles for you and at different price points. 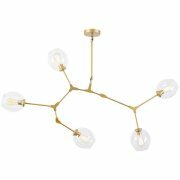 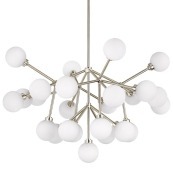 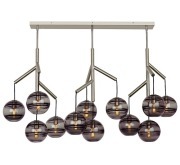 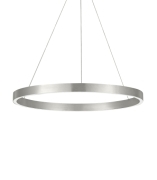 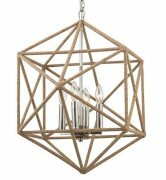 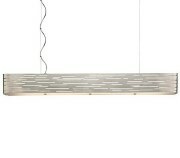 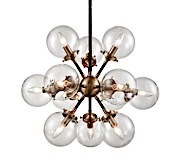 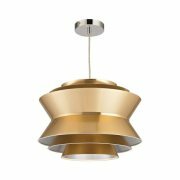 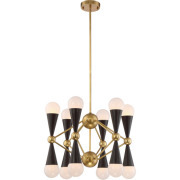 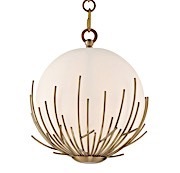 The Gracie Pendant is a beautiful gold modern light fixture that is only $178. 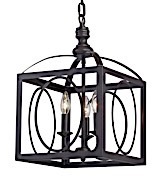 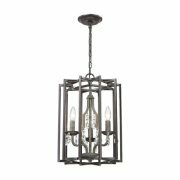 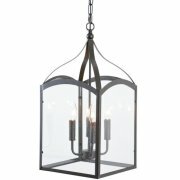 And if Farmhouse chic or an iron chandelier is your game, something like the Hartford for Joanna Chandelier will be a great addition.